WordPress is a free content management system and one of the best blog publishing platforms available online. With huge community and users, WordPress has proved to be one of the successful blogging platforms across the globe. Though it has few other CMS in its competition, WordPress is known for its amazing themes and customization benefits. 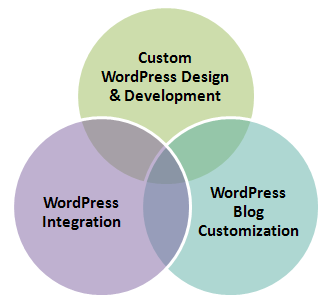 At our desk, we offer affordable WordPress customization for the clients worldwide. At our desk we offer unique website development and design services out of which WordPress design and development is the most talked about. Custom WordPress design and development includes of the following: graphic design, theme design, widget controls, plugin installations, etc; to name a few. As you blog has turned out as one of the really important factors for attracting the potential customers. Our blog customization services helps your WordPress blog to look alike like your website, this really makes a good impression over your customers/visitors. Our WordPress developers have great experience in integrating the numbers of custom add-ons to your WordPress blog. With no extra hidden costs and with 100% original and hand coded W3C valid theme we help you with unique WordPress integration services.